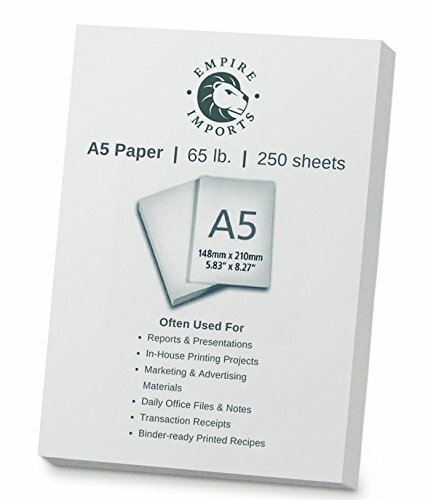 Empire Imports A5 card stock is a heavy-weight multi-purpose paper that is great for a variety of uses. A5 size is perfect to use as a filler paper for Filofax products. The stock can be used in any printer, for many purposes like reports, marketing materials, Greeting cards, memos and daily notes.. the card stock is made from 65 lb. Paper weight. The card stock can also be folded in half to make smaller, A6 sized sheets. Each ream contains 250 sheets. If you have any questions about this product by Empire Imports, contact us by completing and submitting the form below. If you are looking for a specif part number, please include it with your message.